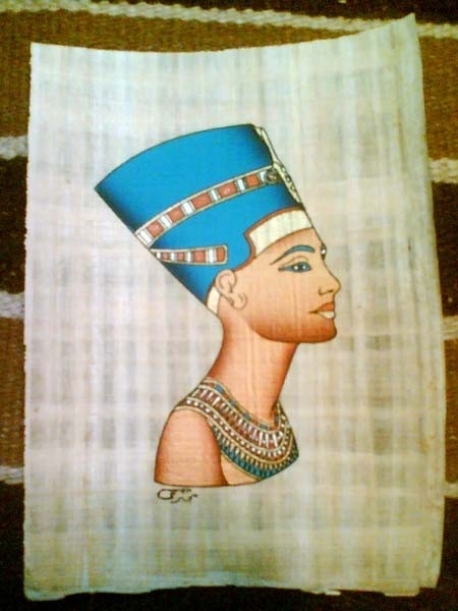 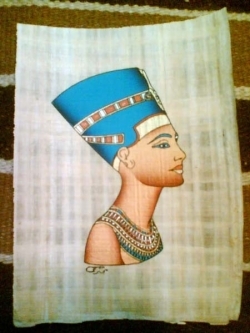 Nefertiti hand painted papyrus papers made and painted in Egypt. 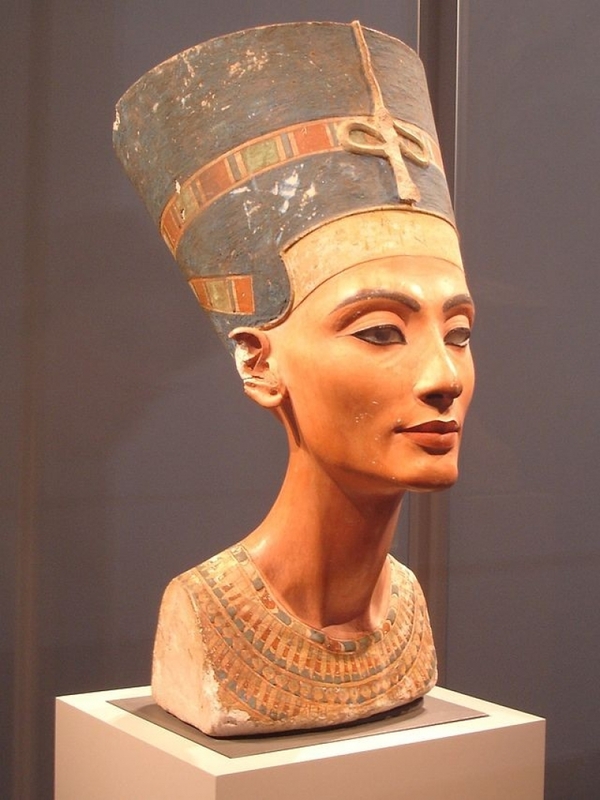 Queen Nefertiti was the fourth wife of king Amenophis VI, the name Nefertiti means "the beautiful lady came"
The statue of Nefertiti is located in Neues Museum in Berlin. 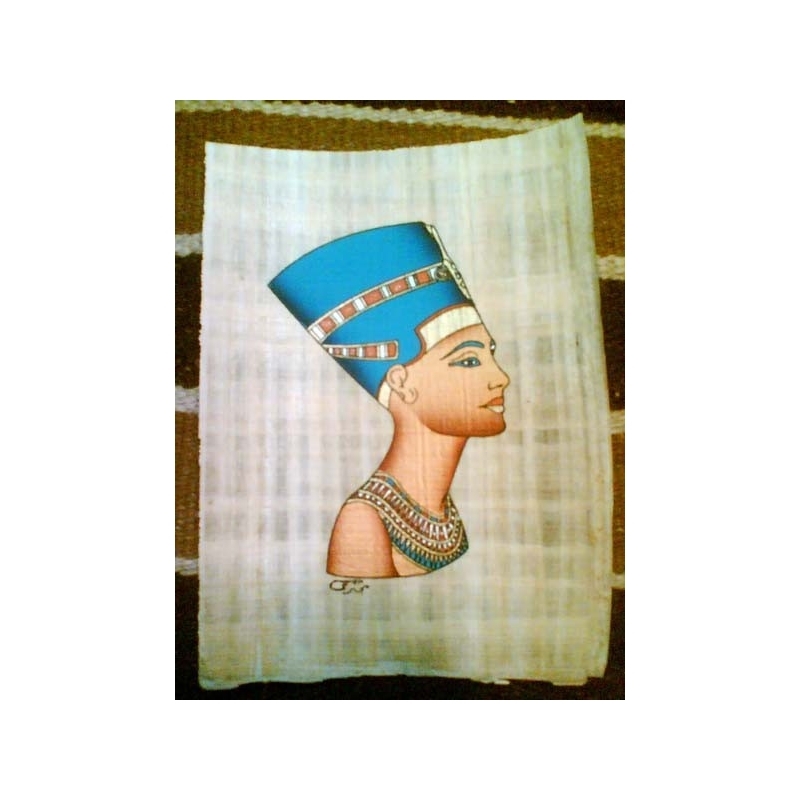 A German archaeological team led by Ludwig Borchardt discovered the Nefertiti statue in 1912 in Thutmose's workshop in Tall AlAmarna, Egypt.